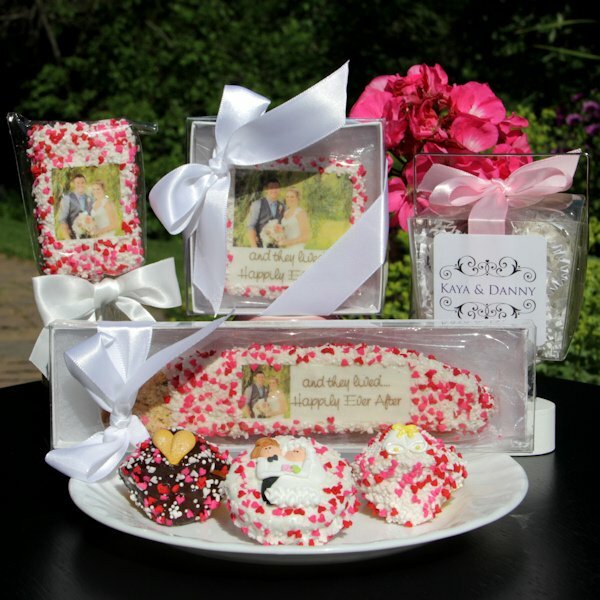 These beautiful and delectable wedding photo cookie favors will have your guests oohing and aahing! Our 2.5" square shortbread sugar cookies are expertly enrobed in gourmet white Belgian chocolate. 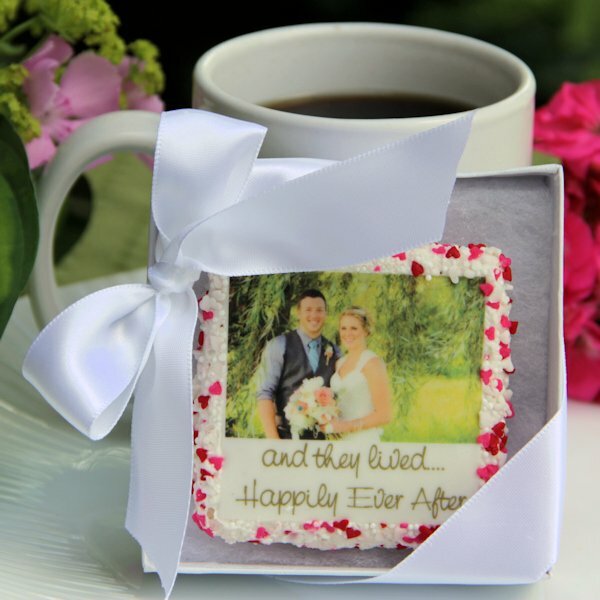 Then we render your 100% edible image onto the cookie and decorate it with a custom-blended candy sprinkles border. 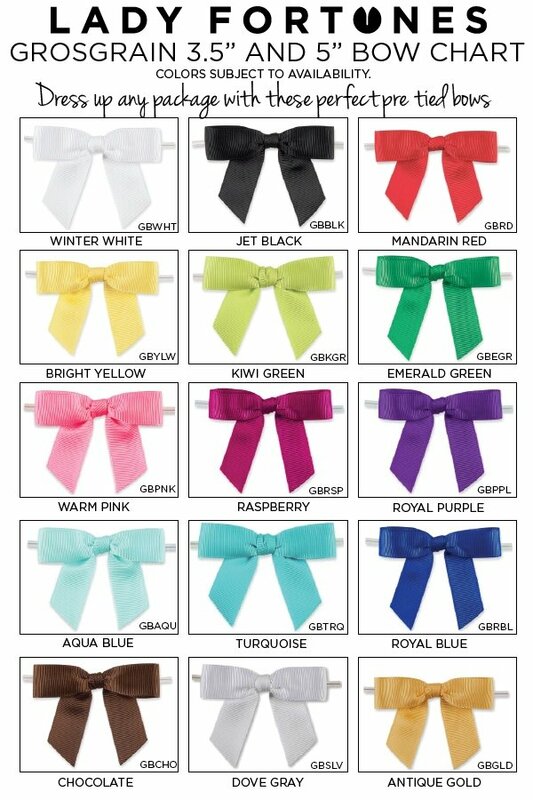 This masterpiece is nestled in a clear topped gift box that is tied with gold stretch loop bow. 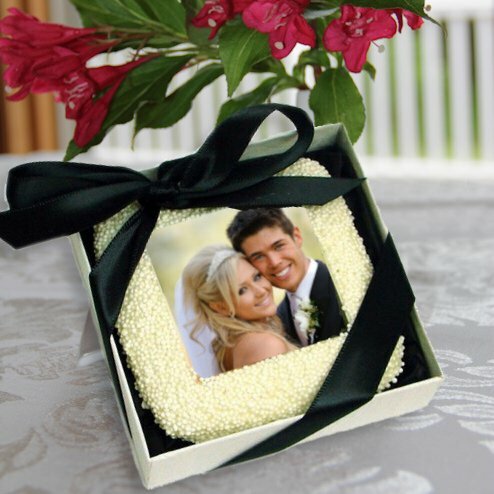 As shown in the photos, you can upgrade to color coordinated ribbon for an elegant presentation for an extra fee per box. After placing your order, please email us your high resolution .jpg image (at least 300 dpi for the 2.25 x 2.25 inch imprint area) by replying to your emailed order receipt. Note that your artwork can be a simple image or you can create artwork with text, logos, etc. Just make sure the text font is easy to read so it will transfer well onto the cookie.